THE 4TH Putrajaya International Hot- Air Balloon Fiesta 2012 is well on its way to taking off next week. The annual fiesta, running from March 15 to 18, will be held at Monumen Alaf Baru at Precinct 2 in Putrajaya. 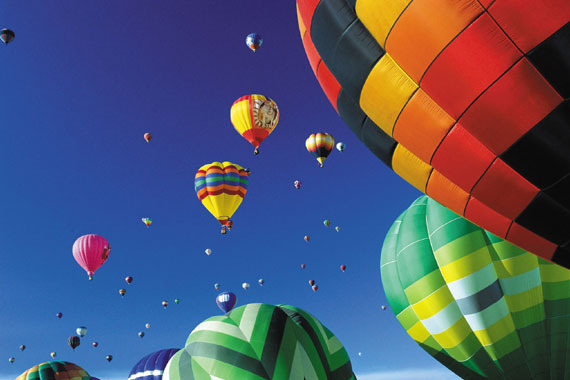 Twenty-six hot-air balloon teams from 12 countries have confirmed their participation in this year’s fiesta. Among the international balloonists who have confirmed participation in this year’s fiesta are Francis Godfrey Prell from the United States with his birthday cake-shaped balloon and Rick Walczak from New Zealand with his kiwi bird-shaped balloon. Other foreign participants coming from Europe and America are Filip Audenaert, Michael Lambert and Benoit Simeons from Belgium; Alain Claude from France; Guido Fullois from Germany; Peter Van Harten and Daan Elfring from the Netherlands; Adrian Held from Switzerland; David Griffith from the United Kingdom; and Gary Moore, Derek Hancock and Frank Wechter from the United States. Coming from Asia are Benedict Savio, Imo Singh and Syed Karimulla from India; Tawin Dumkhum and Rapee Kornkosiyakart from Thailand; and Tran Minh Quoc, Nguyen Quoc Truong and Nguyen Cong Luan from Vietnam. Of course, the fiesta will not be complete without Malaysia’s very own homegrown balloonists, including Mohd Sobri and Khairudin himself (or Captain Rudy as he is more commonly known in the international ballooning fraternity). Every morning, from 7am to 9am, over the four days of the fiesta, these balloonists will participate in a Hare and Hound competition, which is being held for the very first time in Malaysia. For the competition, one pre-determined balloon, known as the ‘hare’ will take off first.The other participating balloons in the competition, known as the ‘hounds’, will then be launched at pre-determined intervals after the hare. The hare balloon then lands on a suitable site and lays out a large piece of fabric at the landing spot. The hound balloons then attempt to drop their markers as close to the centre of the fabric as possible. The closest marker which achieves the highest score wins the competition. The fiesta will also see the return of the widely-talked-about and highly-anticipated Night Glow event on March 17, when the balloons light up in a synchronised manner to the sound of music, culminating in a fireworks display. For more details, please visit http://www.myballoonfiesta.com/.